In the first three quarters of 2018, the wool spinning industry was on a downward trend compared with that of the same period last year. The product and export structure was further adjusted and changed, and the development model was continuously transformed and upgraded. To be specific, 1,060 wool spinning enterprises above the designated scale actualized 113.8 billion yuan of the operating income, representing a growth rate of 4.15%, which was 1.69% higher than that of the year before, and realized steady growth. The total profits were 3.94 billion yuan, dropping by 17.9% compared with that of the same period last year, and the actualized profit rate was 3.46%. In 2018, revolving around the new situations facing the wool textile industry, China Wool Textile Association actively explored about how to provide efficient services for transformation of “technology, fashion and green”. Under the Party leadership, the team construction and business improvement capability was further improved with the focus on leading the sound industrial development, promoting the industrial cluster regulation and upgrade, strengthening the talent educational training, and promoting the international cooperation exchange. For example, in promoting and exploring digitalized, and intelligent manufacturing based on in-depth integration between information technology and manufacturing technology, the China Wool Textile Association actively organized research and survey of solution plans for intelligent manufacturing systems, including wool textile spinning as well as the “Wool Textile Industrial Intelligent Manufacturing Exchange 2018”. 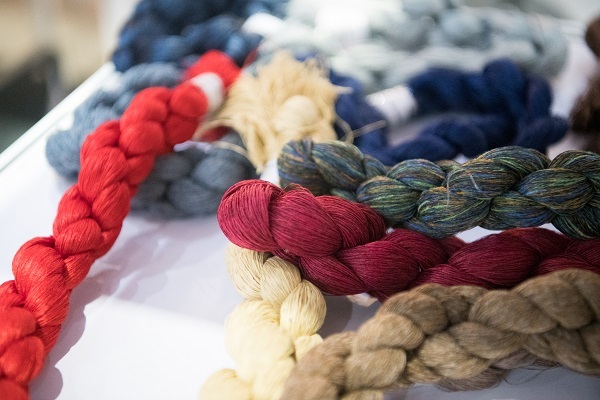 In terms of the fashion-induced industrial upgrade, the China Textile Association had explored model innovation by organizing the “National Wool Textile Renowned and Quality Product Recommendation Activity” by 2018. It worked closely with cross-border e-commerce platforms (FDC Fabric Library) to jointly launch the review of the “2018 Red Sun Cup” China Wool Textile Product (Fabric) Classic Award. In terms of striving for green development of the wool textile industry, the experimental sites were simultaneously promoted. In 2018, the China Wool Textile Association handled nine green standard projects, of which three have passed the review and are about to publish. In 2019, four will be completed, and in 2020, the remaining two will be finished. In order to “benefit small-and medium-sized enterprises and serve industrial clusters”, the Association kept on holding 2018 China Wool Textile Product Trade Fair. As to promotion of industrial cluster construction, China Wool Textile Association amended the “Temporary Methods for Verification and Management of the Wool Textile Experimental Sites” and improved the verification and evaluation system for the wool textile industrial cluster experimental sites. In terms of international cooperation, the Association headed a delegation to Hong Kong, China for the 87th International Wool Textile Conference held by the International Wool Textile Organization. In terms of improving service quality, the Association conducted a field survey of around 70 key enterprises, finished amendment of the Wool Textile Dyeing and Finishing Manual (3rd Edition) and compiled the Annual Development Report for 2017/2018 and the Achievements of the Wool Textile Industry on the 40th Anniversary of China’s Reform and Opening-up. 2019 will be a decisive year for realization of development with industrial characteristics, dislocation development and coordinated development as well as implementation of Textile Industrial Development Planning 2016 - 2020 through deeply propelling the supply-front structural reform and coping with the pressure of the domestic and overseas market. To realize the above goal, Peng Yanli, President of China Wool Textile Association, said the Association will conduct an overall planning of technological progress, talent training, market promotion, fashion leadership and international cooperation in line with the industrial requirement of high-quality development. At the same time, standardization of industrial intelligent manufacturing and green manufacturing will be further promoted to provide quality services the industry’s replacement of old kinetic energy with the new one. The focus will be on the intelligent manufacturing system and standards revolving around technological innovation and wool textile spinning as well as on green manufacturing system construction to propel the green production advanced technology, wool textile equipment and process technological greening transformation. According to new requirements raised by the industrial structural adjustment, production means reform, and industrial integrated innovation raised of talent development, China Wool Textile Association will expand the specialized talent education, and hold the advanced training class for specialized talents. At the same time, based on the domestic and overseas market, the strategy of “bringing in and going global” will be actively implemented, and the “China Wool Textile Products’ Trade Fair” (PRIME 2019) will be further organized. The industrial clusters, excellent enterprise products and brands will be further advertised, and the fashion trend prediction and publication will be organized in collaboration with famous designers and excellent enterprises. All kinds of industrial promotion activities for public good will be organized to give full play to our positive image both in China and in the international arena. Delegations will be organized to attend the 88th International Wool Textile Conference held in Italy for further inspection and learning and do a good job in pre-stage preparation for the 89th annual conference. Efforts will be made to coordinate the conference preparation of Puyuan Town, Tongxiang City as the organizing site for the 89th International Wool Textile Conference, and communicate with the IWTO Secretary. The fundamental work will be further consolidated to do a good job in basic industrial survey and improve the statistics work quality. The Association’s capability and level in serving the whole industry will be upgraded to vigorously ensure green, sound and sustainable growth of the whole industry, and finally realize high-quality development of the industry.